Perfect for providing at house parties and smaller occasions, this Party Bar Portable Cocktail Dispenser makes drinking even more fun. 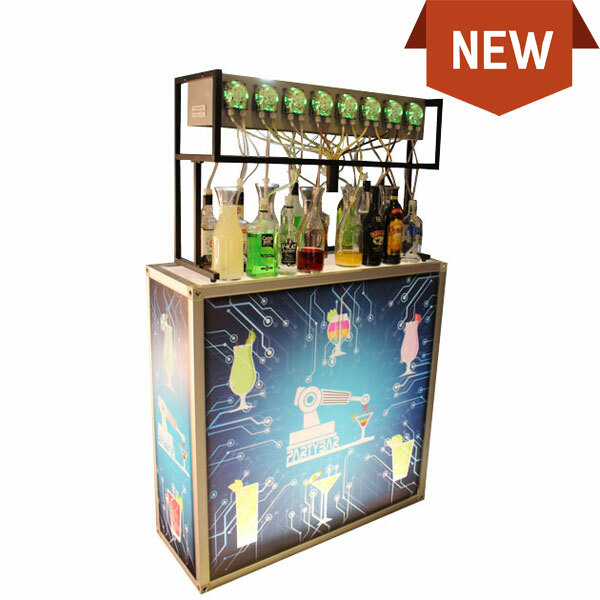 All you need to supply is the collapsible bar with robotic drink dispenser, the guests provide the alcohol. No license, no hassle. Simply assemble your machine and leave it in the hands of your guests. The portable cocktail dispenser connects to Wi-Fi to an online hosted drinks menu, where guests can choose a Cocktail drink, anything from a traditional Margarita to a Gummy Bears Special! The colour LED lit machine will draw the perfect drink together through specially designed straws. Don’t worry about cleaning too, as no ingredients flow through any moving parts, so it’s easy to disassemble all the tubing and clean as necessary.